2 days ago I received a panic email from a reader asking how to make turmeric powder from fresh rhizomes. I have never done this myself so had to research and ask my mom about it. I now realize I should have written about it earlier as it’s such an important part of taking turmeric. There is nothing like growing your own turmeric and using it. But there are some challenges ahead. Fresh turmeric cannot be stored for long and thus needs to be either consumed or converted into powder turmeric for consumption later. I will discuss both options here. Fresh turmeric is just awesome to have. 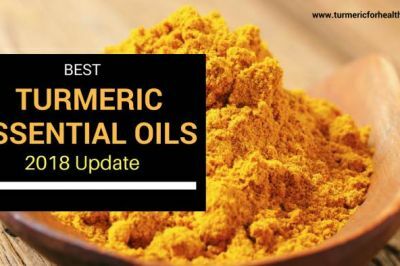 It is because some of the essential oils of turmeric get lost in the process of making it into powder. In smoothies / juices – just grate fresh turmeric and then put it your juicer along with everything else. It’s simple! In curries – one can add finely grated turmeric in curries or as final dressing. 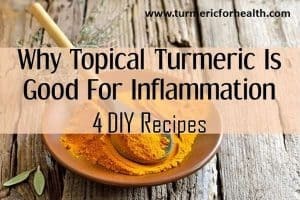 I have seen several recipes where they cut thin and short turmeric sticks and use them as a whole. Some people also make a paste of fresh turmeric and add it to curries etc. As pickle – Turmeric Pickle is very popular in India. The benefit of pickle is it has a long shelf life and still gives you the taste of fresh turmeric. I will add its recipe soon in the recipe section. As salad – This is a great way and it is popular in many parts of India when fresh turmeric is available in the market. I just chop small and thin sticks of turmeric and then add them with any salad I eat. It tastes awesome with some lemon spread over it. Try it! But however hard you try, fresh turmeric cannot beat the shelf life and overall utility of powdered turmeric. 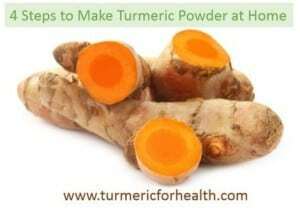 So, it is best that you may keep some fresh turmeric for usage but convert a major portion to powder. Before I go ahead and talk about how to make powder. Just a word of caution for turmeric growers, please make sure you start the process of taking the turmeric plant out between 7-10 months of age. A great indication of when to do is when its leaves and stem start to dry out. Please do not take a hasty decision to uproot the plant. The turmeric root is washed thoroughly. Also, make sure to remove leaves and any long roots. Now you will see a “bulb” and “fingers”. Basically, the bulb is the mother while fingers are the branches shooting out of it. In large scale productions, these are processed separately, but while baking powder at home, it will not matter much. Put these in a pan, cover them with leaves (traditional method) and keep them for a day. You may skip this one if you are running against time. Turmeric rhizomes cannot be dried just like that. They are boiled first. It softens the roots, thus the drying process takes place faster. This happens as the starch within is gelatinized and thus dries faster. It also removes the raw odor from turmeric, this is why raw turmeric tastes different from powdered one. From a health standpoint, boiling will kill any harmful germs / bacteria present in soil which can then get into the powder. How long to boil is the key aspect of this step. The time varies from place to place (basically saying it is based on turmeric type, which in turn is based on where it is grown). According to The Indian Institute of Spice Research and the Agricultural Research Centre, the ideal boiling time is around 45 min. You will see froth appearing at the surface by that time. Also, you can smell turmeric aroma too. Please note, if you over boil, your powder will look decolorized. If you under boil then the rhizomes will become brittle. Tip : Touch the rhizomes and if they fell soft then they are optimally boiled. Another way is to try piercing them using a piece of wood. If it does, they are okay for next stage. You need to start curing the rhizomes within 2-3 days you harvest, else they will start getting stale. The drying process starts with slicing the rhizomes into small pieces. This basically increases its surface area for drying. Ideal moisture content in the final dried product should be around 5-10%. If you are drying under the sun then it is achieved in 10-15 days. Depending on climate and temperature. Tip: Do not keep the rhizomes under direct sunlight, it leads to fading of their natural color. Then your turmeric will not “look like turmeric anymore. Tip: Make sure you cut small vertical slices to maximize surface area. Lay them in single layer while drying. What to do if you do not have enough sunlight? In commercial set-up, mechanical dryers are used to do the work in such situations. At home, baking using microwave oven can help. Please note microwave heating has its own issues and thus I would recommend it only when you have NO other way left. Commercial dryer work at around 60 degree Celsius. I have not tried this myself so I cannot comment upon how much time it would take but a small batch may take up to 1.5-2 hrs to dry in the oven. Help!! — If you have used microwave, please do share what time worked for you. This is the last step and an easy one. Just make sure the rhizomes are dry enough so as to enable grinding. You can use a simple grinder to do the job. After grinding please pass the ground product through a strainer and grind again the large particles. The process may take several iterations. That’s it. Your homegrown turmeric powder is ready! Keep it in a tightly packed jar and enjoy its benefits. Hope this article was useful, in case of any questions, please write to me or just comment. what is the complete process of making a 95% curcumin in turmeric powder? I have been drying my own turmeric for several years and have never bothered with the boiling step – simply scrub to remove all the dirt and most of the skin, slice thinly then dry in a dehydrator for 24 hours and grind then vacuum pack it to seal in the freshness. I also freeze some fresh rhizomes to give me the equivalent of fresh turmeric when it is not in season – also a bit easier to grate when frozen. Do you feel it first? Hi. 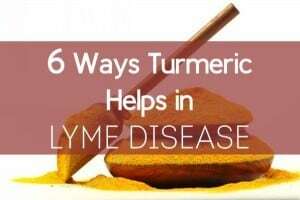 Dried turmeric should last for 5-6 months. I am totally confused by the drying part. You recommend sun-drying, but you warn against placing the rhizomes in direct sunlight. How do you sun dry the rhizomes without putting them out in the sun? I can teach you how to dry using tapolein. Inbox me for details. Hi, I have just bought 1 pound of Tumerick route I have peeled it, graded it, and laid it out to dry. I am going to grind it hopefully into powder and put it in capsules, is that a good idea? PS: I did not boil it first, did I need to? 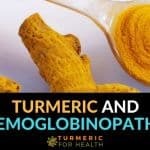 Is there skin to be taken off turmeric before grating much like ginger? I was told to be careful handling turmeric because of it staining. Hi. 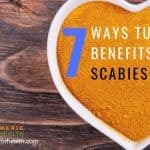 I prefer peeling the skin off the turmeric root before grating it to get rid of any possible contamination and so that it does interfere in the taste. But it is your choice, you can peel it or let it be. Yes turmeric may stain your fingers and utensils, you can choose to wear gloves in that case. Hi. Yes you can use turmeric roots for preparing turmeric tea. Please simmer turmeric in water to extract its goodness. Now we can easily grind raw masala at home using masala grinder. Masala grinders are specially designed for grinding hard spices. We can grind all kind of raw spices at home very fast with less effort. These masala grinders are cheap in price and we can store at any small place in kitchen. Hi, Neha Srivastava, can you kindly send me a picture/image of your Masala grinder. How much did you buy and where. thank you so much. Does the turmeric have to be boiled? I have read that heating it destroys some of the properties. Can it be dried without the boiling stage? I will like to sell my turmeric root. And thanks for the information. Hello, I’ve done this once before and it came out just fine but I’m trying to perfect my craft. I have a Sedona dehydrator, what temperature would you suggestt? I believe you mentioned 60°C but that is about 10040°F which I think is pretty high. Also when boiling the turmeric do you need to cover the pot? Thank you I love the website! Hi. You don’t need to cover the pot when boiling turmeric. 40-42 degree Celsius should be an appropriate temperature when using a dehydrator. Good info…However, small grammatical error pl… The word is ‘ground’ but not ‘grinded’. Hi. I really want my turmeric processed for commercial purposes. We have a land planted with turmeric and i want to plant more. 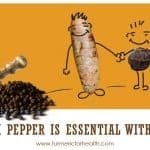 Can you help me Sir on how to have a home based business on my turmeric. And if given more ideas i want to have a bigger concept (processing and packaging) on how to sell it to “our” market. (Hope I can sell it to our place). Hi. Sorry, we have no idea on how to make a business out of turmeric plantation. Does the home made turmeric powder has expiry time? Hi. It should be good for 6-8 months if stored in an air tight container. I recently read about processing Ginger root in a food processor then spread it this in a zip lock bag to freeze. You break off the amount you want for coming or your other uses. Would this work with tumeric? Fine! but what to do if one fails to get enough Sunlight to dry the slices? Also avoid Micro oven. Can the slices be fried (dry) on a frying pan ? Hi. You can use a microwave oven but one needs to identify the optimum temperature. Do not use a frying pan. I have learned a lot from your post about turmeric and made a powder of it following your teaching . Please tell me the best way to use it for me to achieve a maximum benefit because my cholesterol and LDL are always above normal and also malaria and typhoid. Hi. 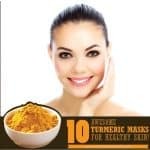 The best way to use turmeric powder is include it in diet or to make the Golden Paste. I cut fresh turmeric bulb (wet) in slices and get dried and then powdered it. Is it right way or not? Is there any harmfull effect while consuming such powder.? I didnt boil it. Hi. This is the traditional set of steps involved in turmeric powder production. 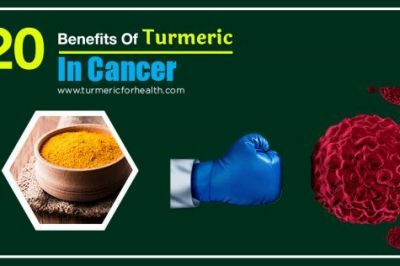 There are several reasons why you should boil turmeric before making a powder but having said that , there are many household techniques which do not involve this step. As long as the end product is free from contaminants it is safe to use. Thanks for this enlighten me on turmeric its benefits. I blend my turmeric with ginger and garlic without boiling and filtered. I added a honey and powder cinnamon to make a juice and store in freezer. My question is how long can I keep it . Is the processing without pilling the back of both turmeric and ginger ok? How much of this juice can l take in a day.? Is it safe for silk people to take without Dr prescription? Hi. Turmeric in diet is absolutely safe. 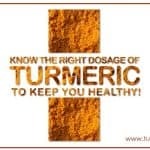 For turmeric supplements it is advised to consult a doctor. Its best to consume the juice when fresh. Depending on the climatic conditions where you stay , it should be good for at least 3 days. There isn’t any specific amount of the juice prescribed as such, you can start with small amounts and see how it suits your body and consume accordingly. Clean the roots prior to juicing them, no other pre-processing is required in case of juicing. Hi. This is the traditional process of making turmeric powder that is even followed in manufacturing plants. Though not much data available on this, we are pretty sure that there is no significant loss of active ingredients when boiling turmeric prior to drying. Hi. Black pepper is not the same as Cameroon pepper. Black pepper is also known as Piper nigrum in scientific terms, this can help you identify black pepper. After the tumeric has been dried under the sun, do you remove the skin from it or do you grind it with the skin? It is preferable to remove the skin because keeping the skin may give you a coarse powder. Hi. It is absolutely fine to slice and dry fresh turmeric for storage if you do not want to make powder. A good way to store them is slicing them up and putting them in salt water/brine and using these cut slices in any meal or just plain. Greetings…a very interesting site. I grate my turmeric and air dry (stirring frequently), use a coffee grinder (usually 4 five-second bursts) to turn it into powder, then sift using a strainer. Hi. Thank you for sharing this. That indeed is an interesting way to make turmeric powder at home. Hi, do you boil the turmeric first before grating ? Hi. Boiling or curing the roots is the second step of the procedure. After which it needs to be dried and then ground into powder. Yes you can dry turmeric in the sun, but it can take as much as 10-15 days till it becomes so dry that it can snap when broken by hand and has really low moisture content. I enjoy eating fresh tumeric when prepared as soup with dry fish, its very sweet when you eat with pounded yam. Thank you for sharing this with us Samson. I was struggling with my utensils, spoons, etc getting the yellow sticky oil on them. I grate fresh tumeric before drying it. I went to Dollar Tree and got a blue spray bottle of Oxygen Power ($1 of course). I sprayed it on the grater and spoons and the tumeric turned red and melted off of the utensils. I then scrapped it off with Palmolive dish soap and a kitchen brush with plastic bristles (sorry, that stays yellow after that!). It worked pretty well on my hands, too, but not as well as the utensils. I like making a turmeric tea by slicing up organic, fresh turmeric and boiling it with ginger and spices. My question is, if I am drinking only the water, am I getting any of the benefits of the curcumin or do I actually have to eat the root? Heating turmeric in water increases the solubility of curcumin in water and it is the poor solubility of curcumin in water that actually causes the whole bioavailability issue. You definitely be getting more than just curcumin from the tea but you can also include the roots in diet. It is safe to consume an inch long piece of the root in divided doses over the day. Uncertain what your answer means, does it mean it is better if it is heated, more solubility? I grew 15 fingerlings, I live in a rain forest area of Hawaii, once the leaves dried I harvested close to 50 lbs.. I had to work really hard at getting all of the dirt off, it was tons of work. I then boiled it per all of the suggestions on line, I think I only did 30 minutes. I chopped them thin and long and dehydrated them on the setting for vegetables and fruits, until they were very hard, at least 8 hours. I had to cut our quite a bit of rotted areas to make sure the product was pure and I wanted to use it. I peeled a few but it was way too much work and unnecessary. I then blended it in my blender and it made beautiful aromatic turmeric. I save my old silica packs from vitamins and store it with these in jars and a year later still have turmeric that is aromatic and without mold. One batch I did not dry as much and so it got moldy so I used it to dye some curtains. I also used a ton of fresh raw turmeric to make pickled turmeric which was awesome. The weeding of the beds is a lot of work too. In a rainforest the weeds grow so big you can barely find the rhizomes when it is time to dig them out…ha ha…I feel blessed to have had such an amazing experience, I gave probably half away to friends and planted 60 fingerlings for a spring harvest, usually April or May. 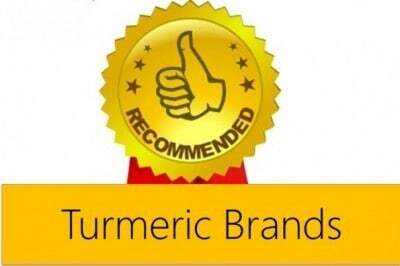 Its quite amazing to know how you utilise your natural produce of turmeric in several ways. Thank you for sharing this with us. It is fine to take dehydrated turmeric with oil and black pepper. It will still absorb well. Boiling is necessary in terms of getting rid of germs and improving texture and aroma of the powder. Studies show turmeric’s solubility in water is increased by boiling it for 10 mins but this is applicable to the finished product that is turmeric powder and not to the boiling process involved in making turmeric powder. Over boiling can actually cause loss of color of turmeric powder. 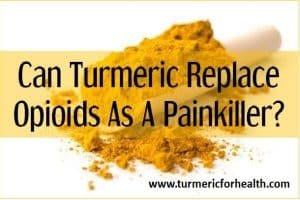 And yes oil helps with the absorption so please continue taking it with turmeric. Why do you boil before hydrating ? Can’t you wash the dirt out and cut in pieces and just dehydrate the slices ? very useful instructions had been given by you. I learn more details from your articular. 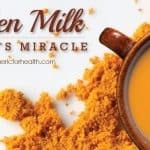 Also, powdered turmeric, added to warm milk along with ground pepper (black whole pepper) will help reduce inflammation. Usually taken before going to bed at night, which provides calming effect at bedtime. What’s got better health benefits? Boiling and grinding or if one chopped up fresh turmeric into thin slices and put in a dehumidifier for 36-48 hours and ground it once it’s dried? The second option is better since the content of active ingredients lost or converted would be lesser. To further increase the absorption of curcumin, turmeric’s active ingredient you can take turmeric with black pepper and/or oil. Hi just want to Ask the procedure you mention, that would make it ” instant turmeric” will it be soluble with hot water? Turmeric powder is not soluble in water. Can I grind the fresh turmeric to paste and then dry it to powder??? This I think is lot more easier than grinding dried ones. That isn’t the right procedure to do it. Also the paste will contain too many fibres that wouldn’t dry to form a powder. Still puzzled about boiling the rhizomes. I thought the curcumin was supposed to be very heat sensitive. Is there actually any curcumin in the powdered form? Curcumin when cooked gets more easily absorbed in the body, so it is not heat sensitive. 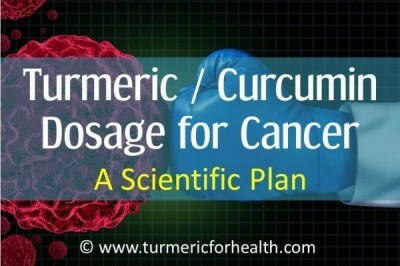 Turmeric powder contains about 3-5% of curcumin. “FROM KOLKATA (24 P gs South) WITH LOVE” Thank`s All For this LOVELY Suggestion . ????? I would like to know if you need to remove the skin. Yes you can remove the skin after drying the rhizomes prior to grinding. 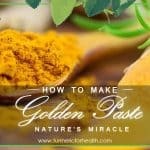 I’ve seen several people ask if you’re able to use fresh turmeric in golden paste and about how much but there seems to be no answers! I also wonder if it will thicken the same. And is there anyone who uses it that can tell me how to Injest it if you’re someone who doesn’t like to try new things or eat things they don’t like to give it a chance. I did give my son a 1/4 tsp dollop on the back of his tongue and then a drink, easy, but what to do with a table spoon?? Also, please, how long can you store fresh and turmeric powder before it is no good to use? Please if you can, answer all my questions! Thanks! Great site, great discussions and so beneficial. 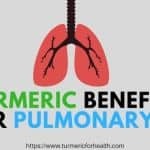 Started using tumeric as prescribed just two now, and its just so effective both for spouse and I. Still watching for its long term effect. Thanks all. In the process of making powdered turmeric, you said to boil it for 45 minutes. 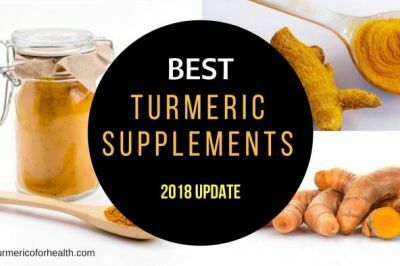 Does it not remove the beneficial elements of turmeric? I would like to ask if I wish to use the oven to dry the turmeric, at what temperature should I do it on, and how long? Secondly, will it further affect the nutritional value of the turmeric? You can dry at a temperature between 60 to 100 degree celsius for 10-30 minutes. 80 degree celsius for 30 minutes works well. Up to 100 degree celsius the nutritional content in terms of curcuminoids amount will remain unaffected. I buy organic turmeric and freeze it whole. Then I grate it as needed. Seems to last fine. My friend,we have got so caught up in the idea of microwave machines but no one is going to tell you that the microwave radiation is 200000 times more powerful than an Xray. What do you think is causing radiation sickness in people abroad?That is why the microwave market has shifted to Asia .Don’t take my word for it.Throw your microwave out.Protect your family’s healthAFTER YOU do your research on microwave rays. You need an actual “spice and nut grinder”. I bought a Cuisinart one on Amazon. Not cheap but the way we go through turmeric it was well worth it. Turmeric is like little rocks after you’ve dried it (boiling for 45-minutes first of course) and nothing in earth can grind it into a powder except a dedicated grinder. I even tried putting it in a Baggie and hitting it with a hammer! you have to boil it then dry it. Hi, after cleaning and boiling the turmeric roots, do we peel them or leave the skin on? Appreciate your advise. The skin provides excellent fiber. Leave it on. I bought my rhizomes from the market. Washed and dried them in the sun over 4 to 5 days. They started getting mouldy even if left them under the shade. Could be due to the rainy season. Then I left them in the fridge. After a week I bottled the rhizomes and they are mouldy again. What am I doing wrong? Jessie it sounds like they just didnt dry and putting them into a closed container/jar, created a perfect environment for the mold. Excessive moisture or humidity is the reason for the mold formation. Turmeric root has to be dried completely till they are almost hard. Hmm, I am still interested in making truly raw turmeric powder, because boiling for such a long time obviously destroys some of the goodness in turmeric. I did have a great success with turmeric from leg pain. I took a heaping teaspoon of powder 4 times a day for several days, which at first controlled the pain and now it is gone. I still use t teaspoons a day now, but probably will reduce to one as time goes. It worked better than over the counter pain medicine. @Daiva, as I am also undergoing pain I would like to know your pain reduces by consuming turmeric powder or applying it on the painful spots? TIA. Be able to take so much. We’ve never really eaten turmeric before so we will have to work our way up but don’t know how to eat it? Mix the turmeric with raw organic honey and then take 1 teaspoon as needed. Also for best results turmeric should be consumed with black pepper & a fat like coconut oil. 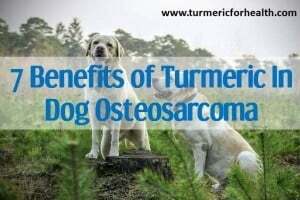 Glad to hear that turmeric has benefited your pet’s health! Thank you for sharing this! Thank you for sharing your experience about turmeric. Hi can anyone explain how to make golden paste using fresh raw turmeric, what is the ratio of fresh to powder is foes say 1 kilo fresh yield 400gm of powder or am I way off the mark. Yes this is my question as well! And will the fresh turmeric thicken like the powdered turmeric? So is the recipe the same? To the question about compromised nutritional value of immature rhizomes….I have zero official scientific data or experience on this, but would bet good money the enzymatic activity which relates to the staged production of the phytochemicals which gives plants their unique medicinal value would indeed be interrupted, undeveloped, or perhaps even absent if harvested prematurely (and of course, how early would matter). In any case, get all the free and hopefully qualified info you can from anyone, esp our taxpayer-funded land-grant college system. Good luck and let us hear what you learn. what to do with the dried whole turmeric available in market ? Hi, you ground it and then you have the powder! This is actually what I came here to see about, myself, as I have some store-bought, whole turmeric that jammed up my spice-grinding espresso mill. I used my blender for this, instead, following the sifting procedure as explained above, and it worked great, even if I was afraid it was going to shatter the glass carafe, though this was a silly fear. Chris, if I buy store bought fresh turmeric and follow the sifting procedure (what does sifting consist of) and then once I sift, how do I store? Could someone please explain the WHY as to never pulling tumeric roots before visible maturity? As an experienced NW potato grower, it is a well-known (and lucrative sales “product”) practice to dig “new” potatoes in the Spring, after the flowers have fallen off. This sub-weight, small spud is so tasty and tender that we growers forfeit the extra “profitability” just to please customers who stand in line for the earliest Spring produce. I have not ever seen any studies about the nutritional content comparison between full-grown potatoes which would be dug up months later vs. Spring potatoes, so I could not conjecture as to the comparative phytochemicals in immature turmeric vs. mature turmeric. Does anyone know anything about this? Perhaps the author of the article could explain why he asks us not to harvest prematurely. I am guessing a simple reason — Why is anything is generally not be harvest prematurely? 🙂 because its premature! Again, this is no “reason” that makes sense. For example, this would mean we “should” give up our microgreens, baby leafies, sprouting, and other similar habits of consuming an immature version of something. No thinking person will do something because they are told they “should”! Here’s what’s behind my continued inquiry, I am asking these questions for the serious growers who might have to harvest early…. Many OP Organic seeds can be purchased at very low prices which makes immature harvesting feasible. And when we purchase in higher bulk we get an even better price, and then can store seeds as a Survival Food for sprouting some day in the future if/when we are hiding in a cave, on-the-road, or need super-nutritious Green Smoothies. The real question I am asking is: Does Anyone Know of Compromised Nutritional Value With Immature Turmeric? Broccoli Sprouts actually have been lab-tested to contain greatly increased levels of phytochemicals as compared to the full-grown broccoli stem you could wait months longer to harvest. If you are an actual grower you will want to know what options you have for possibly growing two crops/year and/or the possibility of needing to harvest prematurely prior to killing temps. I am saying that we are all going to get more serious about this thing called gardening. This skill will determine our health and survival – and we will be at this point soon, not next century. This focus on gardening details includes technique, timing, and quantity and diversity of crops and intensity of spacing. It would take a few months to consume the turmeric grown in a pot on the back patio. Those reading this column will have to get much more serious about becoming a producer instead of simply a consumer of both food and medicine. My contribution to this conversation is that we need to expand our implementation in every direction, and until I hear otherwise, I have to believe the medicinal value of immaturely harvested turmeric is not compromised when harvesting at the tender stage like a Little Spring Carrot. I think you are falling on mostly deaf ears. I myself am a beginner gardener and I hear your ploy and will investigate it to incorporate into my knowledge digest. Thank you! If u pull out the rhizomes too early before the leaves start drying up u dont get that beautiful deep orange colour . 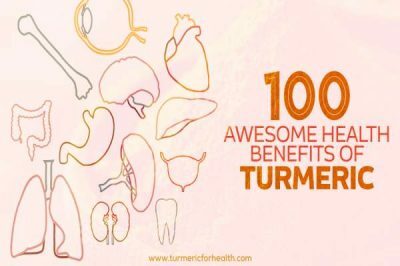 What is the health benefit of potatoes vs the health benefit of tumeric? Tumeric has antibacterial and antimicrobial properties and potatoes, well they taste good. Would you eat a green potato? Probably not! It sounds like you are interested in growing tumeric and would like to harvest it as early as you do potatoes. 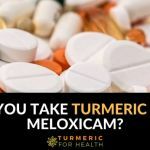 Apples and oranges like potatoes and tumeric cannot be compared because growing requirements are different and perhaps nobody cares if turmeric can be hurried to maturity, therefore no research was done. “Turmeric grows for 8-10 months of the year, followed by a 2-4 month dormant period. As the plant goes into dormancy, its tall green leaves begin to yellow and die back. This happens because the rhizome is pulling all the nutrients and sugars from the leaves and converting them into an anti-fungal and antibacterial skin covering. This protective skin prevents root rots and diseases during the rhizome’s dormant stage. The nutrients are also what give turmeric its medicinal properties that are so healthy for us humans! Lori Retail. Thank you! You really helped explain this question as why to wait to harvest turmeric in dormat stage and not earlier than that. It sounded Like some people were being sarcastic to some honest sincere questions being made. Again, thank you. I still understand very little but trying to learn more. 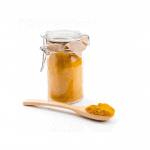 I like to make a turmeric paste – is there any way you can do this with fresh turmeric? I like the idea of growing my own but it sounds impracticable – I’d need to grow an awful lot of it. I’m not only feeding it to myself but to my dog and my horse. How much ground would I need to grow say, six months supply? Hi Robyn, this is a tough question to answer! But this is what I would suggest – grow as much as you can, if it falls short use external supply. But it would still mean you are using lots of your own turmeric which will be better than buying all of it from market. YouTube has about a zillion videos on this very topic. Would never have a microwave oven in the house. They change the molecular content of food, destroy nutrients etc. etc. So PLEASE never microwave anything to be used therapeutically, use a dehydrator. Alexandra’s option sounds good as you can grate it frozen from freezer then return unused portion. Look forward to your pickle recipe. I completely agree. I just added that an option if you do not get sunlight at all. Yes, Alexandra method looks great. I will just confirm from her the details and then add it to the article. Should be great! do not seem to change at all when frozen. hi Alexandra, this sounds wonderful. Do you deep freeze it? Vacuum freeze it? I am asking this as I tried doing this sometime ago but the rhizomes became stale after 2-3 weeks. no! the % curcumin and composition is same. Infact as the home made is less processed it may be more nutritious. I ask because on the Facebook TUG , people say that you need far more raw natural turmeric to obtain the same effect as the powder. I can buy dried turmeric rhizomes here in Abu Dhabi (which to my mind, would not have had curcumin removed?) and grind myself. I would much prefer to do this. What do you think? I am comparing powder to powder and not fresh turmeric (raw) to powder. You will need more fresh turmeric as it has moisture which adds to its weight. Thus 1 gm of powder will have more curcumin than 1 gm of raw turmeric as it does not have any moisture content. Hope I was able to help you here? I have a ground powder turmeric made by my friend ,not only turmeric,but also morigga,graviola,bitter melon ,ginger,and mongosteen all in powder .I use natural healthy food or supplement and work good . Hey, “K”, so glad to see this. I’ve been using bags of turmeric since I joined, and now trying to eat anything at all (even eggs) without turmeric on it just is not the same. I’m addicted. Especially since I can’t eat salt and need to cut back on sugars, turmeric makes me feel less deprived of a flavorful eating experience. Awesome. What are you fav ways to have it ? HI ,IF U DON’T LIKE SALT THEN DON’T EAT .BUT ,IF SOME EXPERT THINK IT’S NOT GOOD FOR YOU ,THEN LET ME TELL YOU THIS; WITHOUT SALT WATER DO NOT TRANSMIT ELCTRICITY ,AND IN MOST BRAINS ,ELECTRITY IS A MUST .NO SALT NO LIFE . Chiz – if I consume more than a teaspoon of salt a day my body retains fluid ie legs and eyelids become swollen. I think people consume waaaayyy more salt and sugar than their bodies need and that for a lot of people it is physical time bomb waiting to explode in the form of a stroke or kidney failure. Turmeric and other spices and herbs are my best way of flavoring food and breaking the dependence I had on salt and sugar in the past. Hi agree with Robyn. we are becoming slaves of our taste buds – either we need salt or we need sugar. We have lost touch with natural flavor of foods! You are doing really good by keeping them away from your diet. THE HUMANS WAS PLANNED VERY LONG AGO . HAD TIME TO BECOME PERFECT OR ‘IF BY GOD ,WAS CREATED SO . IF ONE HAVE A SALT PROBLEM ,SO B ,BUT NO WAY TO MAKE SENSE OUT OF “SUGAR AND SALT ” ONLY BECEAUSE THEY LOOK WHITE . SUGAR WE NEED FOR LIFE TO GO ON ,BUT WE OVER USE IT ,AGREE. SALT IS NEEDED ON A MUCH DEEPER LEVEL ,AND THE IDEA OF ONE TEA SPOON A DAY IS BASED ON DUMB DOCTORS EXPERIMENTING WITH RATS , GIVING THEM DAILY AMOUNT LIKE 1 GLASS OF SALT FOR HUMANS . SEARCH IT . LAST ,IF ONE FEEL HE GET TOO MUCH ,IT IS BEST TO FIND OUT HOW , BECAUSE YOU PROBABLY HAVE SALT EVEN IN YOUR SOAP ,YOUR TOOTH PASTE AND LOWNDRY POWDER . DO NOT BLAME SALT BUT FIND OUT HOW IT IS INGESTED IN YOUR PRIVET CASE . THE LATE? DAVID ATTENBOROUGH FILMED A HUGE CAVE IN AFRICA CARVED BY ELPHENTS SEEKING SALT . MAYBE THATS WHY THIRE LEGS ARE SO BIG ? David Attenborough is still with us Chaz, and still working too I think. Problem with salt ingestion is, as you pointed out, difficult for us to measure as it is in all almost the food we eat. Hypertension is an invisible monster that sneaks up with out warning and BOOM!!! you have a stroke or your kidneys fail and your whole world implodes – if you’re one of the lucky ones that survive this cataclysmic event then believe me, you see what an enemy salt can be and do everything you can do to only eat a small potion of it. goodbye bacon, pizza., potato crisps, hot dogs, salted peanuts etc., etc. STROK GOT ME 8 YAERS AGO ,AND IT WAS AFTER THE DOC CON-VINCED ME TO HAVE A CATHRIC INVESION IF THIS IS HOW IT’S SPELLED . NATURALY THEY SAY IT IS NOT CONNECTED ,HOWEVER I KNOW WHAT IT FEEL . BUT ,I WANT ALL READERS TO KNOW IS ; HIGH BP CAN BE REVERSED ,AND BETTER IF YOU DO NOT USE MEDICETIONS TO DO IT . MANY PLANTS CALM INFLAMETIONS AND SO REDUCE BP ,MAYBE TURMERIC TOO . ALL THIS HAVE NOTHING WITH SALT ,AND MY BROTHER ,THAT DIDN’T TUCH IT MOST OF HIS LIFE ,IS CRIPPLED AFTER A STROK. IT’S THE SAME MYTHE LIKE CHOLESTEROL ,THAT YOU CAN’T LIVE WITHOUT AND THEY TELL YOU IT’S KILLING YOU . I’M 70 ,MY BP IS BETTER THEN 10 YEARS AGO AND ,AS ANYONE KNOW THAT STATINES GOOD FOR BP ,I GIVE THEM TO MY WIFE .AFTER ALL ,SHE RAISE MY BP TO START WITH . I purchased a container of tumeric root from Publix. I would like to make tumeric powder from this. Would the directions from this article be appropriate for this? I would not trust a turmeric root from Publix inasmuch as the chances of it being grown organically are slim to none. Suggest you visit a store that specializes in organically grown if you want to have a truly pesticide-free root. Hi, the process remains same. infact the same (almost) process is used for large scale turmeric powder making too. The final product of course will depend upon the quality of turmeric you have.